I have been asked several times for comparison between SEO and PPC. And which one is better SEO or PPC? How SEO can save you money? 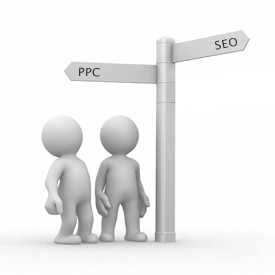 This post will provide you comparison between SEO and PPC. You will also learn how search engine optimization can save your time and money in long term. We understand that SEO is not an overnight thing. We don’t expect results in days or weeks from SEO campaigns. On average, it takes few months to give you desired results. Then how it saves time? Well, the answer is simple; by outsourcing it. Remember, unless you are an internet marketing company yourself, it is not recommended to have in-house SEO. So by outsourcing you can save your time and resources both. Whereas PPC requires less technical expertise and resources as compare to SEO. In terms of money, in the beginning SEO requires more money as compare to PPC. But with the passage of time SEO cost gets reduced whereas PPC’s cost remain steady. PPC gives you faster results but it becomes more costly in long-term. It is recommended to have paid search campaign for your website as this will help you to identify the keywords which have more conversion rate for your business. Here is the quick comparison of SEO and PPC. 3-6 months if done by professional SEO experts. Gives instant results as soon you setup your pay per click campaign. In short term it requires more budget than PPC which eventually goes down after few months. Initially PPC is less expensive than SEO but it remains steady whereas SEO’s cost reduced down with the passage of time. SEO is an on-going work. You cannot afford to close your SEO campaign. PPC requires fewer efforts over time. If you get ranked on #1 in a search engine then you can get up to 50% clicks. Generally only 2% of paid advertisements get clicked by people. Summary: Paid search (PPC) is good to obtain quick results. It also helps to identify keywords best fit for your domain. SEO is a must for every website. It is time consuming but surely gives required results provided it is being done by a professional internet marketing company. getRanked can help you for both PPC and SEO. We have team of individuals who have expertise in both paid and organic search.